In the year of 2014 there have been two global news about flight accidents related to Malaysia and few small aircraft failure incidents. The new generation never really know anything about the past flight accidents in Malaysia other than MH370 or MH17. The old generation did not speak about them. It is like a forgiveness if we do not remind or recall about past incidents. We like to say the past is the past let do not talk and think about it anymore. Let move forward instead. How many air traffic accidents actually related to us ? no doubt the most recent one would be MH17 or MH370 ?? The truth is that it way more than three cases. In fact, there is more than 10 but let us rewind 10 flights accidents that had happened way before the incident of MH370 disaster. It will include MH370 and MH17. Air transportation may be rated as safest than road transportation it just a matter of time when flight accidents become common among the people just like the road accident in the news everyday. First fatal air crash for Malaysia Airlines. The situation turned ugly when authority released cockpit voice recorder with the sound of a gunshot. Many believed to be hijackers and they want the plane diverted to Singapore. The flight is flying from Penang to Kuala Lumpur. It using Boeing 737-200 aircraft. Later was found the wreckage at Tanjung Kupang. No survivors was reported alive. The date was December 4, 1977 with 100 passengers and crew. The rescue came before fire devour the plane and every passengers on board. An international flight from Singapore to Kuala Lumpur on December 18, 1983 stuck trees. No fatalities recorded. It was a big crash at that time. Plane crash took place on June 6, 1976 at Kota Kinabalu Sabah. Operated by Sabah Air, aircraft was designed by Australian and built by Nomad. It saddened Sabah people because the aircraft was carrying top government officials. Mainly chief minister of Sabah and other top Sabah government officials. The investigation of the crash was never made clear. The accident was dubbed as a foul play due to the political instability at that time. However, Australian investigator believed that it was due to overload and mechanical failure. Besides, many have said the real reason behind was classified and remain mystery. 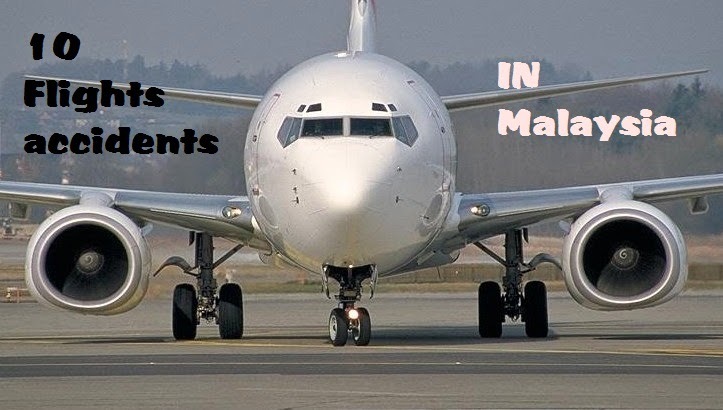 Although it did not involve local airliner but it still happened inside Malaysia. The mystery of Malaysian Airliner MH370 pretty much shocked the world. No words to describe the mysterious of this missing airplane. It could be one of the mysterious missing of a Boeing 777 plane incident involving MAS. It still yet to be found by anyone. The date of this missing airline was March 8 when most of the Asian people were sleeping. It was the first commercial airplane owned by Malaysia company shot down at Ukraine near the Border of Russia. It happened approximately 9.50 PM (Malaysian time) on July 17, 2014 . It was pre-determined that pro-Russian force shot it down. However, Ukraine and Russia were both accusing each other of shooting down the Malaysian Airline. Japan Airliner crashed at Malaysia at 300 feet estimated 91 meters. There were 69 passengers and 10 crew on board. There were people died at the crash due to the impact although there were no reported fire devour the plane. Avcen was killed due to the crash at Malaysia for testing out a new plane. Michael Robert Dacre a british did not obtained any permission from Royal Malaysian Air Force. There were not much information about this crash. It was believed to be a pilot error that causing the crash of the airplane. It was September 15, 1995 while they were using Fokker 50 type of airplane.There were survivors as well as fatalities. Maswings MH3002 crashed at Kudat. Sabah helicopter crashed taking off during bad weather carrying deputy Prime Minister. The pilot succumbed to injury, then died at hospital.